Frequently dubbed one of the most romantic cities in the world, Paris is a tourism hotspot for travellers looking to bask in its sense of style and charm. The amount of people, both foreign and Parisienne, blogging from the city is astounding, so we've judged them all and awarded only the very best online journals from this magical city. An all-encompassing guide to touring and living in the city, HiP Paris is run by five experienced bloggers and is one of the finest online magazines we've come across (and not just those pertaining to Paris, either). The Paris Blog brings you some of the stranger angles on living in Paris, edited by Laurie Pike and quickly growing from 2005 into one of the most widely-read blogs of the city. American-born guidebook author, tourguide and journalist Heather Stimmler-Hall puts her wealth of experience into her daily journal to great effect. A visit to The Secrets of Paris will have you reading for hours. The long-running Paris Daily Photo blog is exactly what you'd imagine - an insider's photographic diary of life in Paris. Sign up to the RSS feed and get a new (and often amusing) photo each and every day. Ever wanted to pack up and move to Paris? It's crossed the mind of most people visiting the City of Love, but those that give it serious consideration should definitely give the Paris Perfect blog a look. David Lebovitz is a professional chef, author and expat living the high life in Paris, who also has time to write his hugely successful blog about French cuisine and day-to-day living in general. Quirky, heart-warming and delightful are just some of the words we could use to describe Claudia's Parisienne blog. Another one would be "recommended". 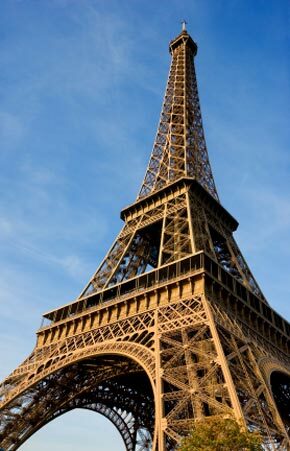 Tara Bradford's socially-conscious views on Paris living are both uplifiting and well-penned, with the added bonus of her frequent travels to other countries making for excellent blog posts. No list of Parisienne blogs would be complete without one on fashion. Rather than focus on what's hot on the catwalk however, blogger Fred stops everyday women in the street for a brief interview and an overview of what they're wearing. La Coquette is a funny blog by a French-born American who has returned to Paris while in her late-twenties. Nothing is immune from Elisabeth's criticism and wit. The Paris adventures of professional freelancer Meg Zimbeck, who used to write the La Blagueur blog before carrying her musings over to her new site, are an essential read for any fan of humourous writing. Hungry For Paris is the quintessential guide for dining out in Paris. Features reviews of the city's finest restaurants.